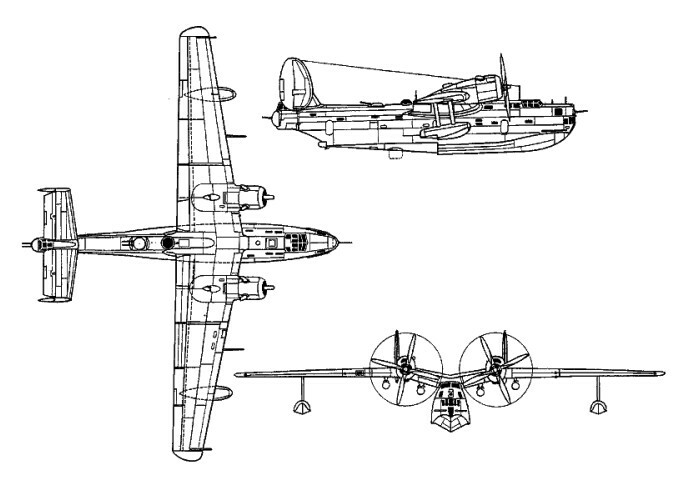 Development of a large maritime reconnaissance and bombing flying-boat was initiated by the Beriev design bureau in 1943, and the Beriev LL-143 prototype flew for the first time on 6 September 1945. An all-metal high-wing monoplane, it was powered by two 1492kW Shvetsov ASh-72 radial engines. Armament comprised twin NS-23 23mm cannon in a tail turret (behind the twin fins and rudders) and similar provision in a remotely controlled dorsal barbette. A single NS-23 cannon was installed in the bow turret. 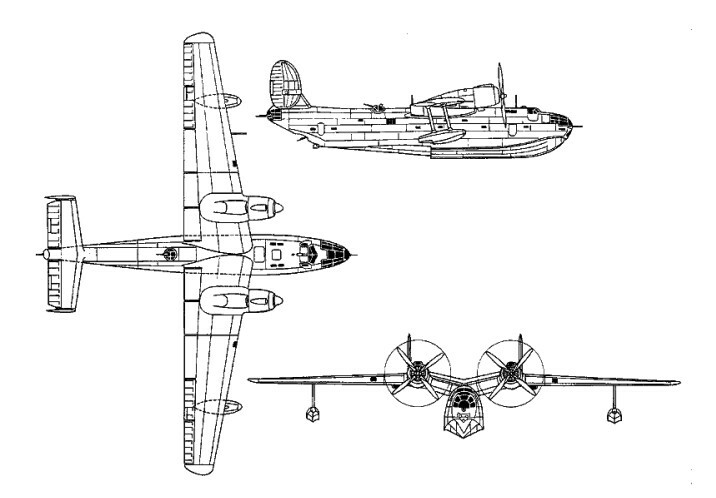 The LL-143 was developed into the Beriev Be-6 production aircraft, the first example of which was flown by M. I. Tsepilov in 1949. It differed from the prototype by having more sophisticated equipment, which included a retractable radome aft of the second step, and a redesigned nose without cannon armament. At a later stage the tail gun position was replaced by MAD (magnetic anomaly detection) equipment. The Be-6, to which NATO allocated the code-name 'Madge', carried a heavy offensive load comprising various combinations of mines, depth charges or torpedoes on underwing pylons outboard of the engines. Be-6s operated patrol, maritime reconnaissance and anti-submarine duties until the early 1970s, and a few remained in service on transport or fishery patrol duties into the late 1970s.